So I lied, this wasn’t my next post. I forgot about the Atlantic Hearts Sketch Challenge post. (sheepish grin here) But I’m happy to announce that I made their design team!!! My first time being on a design team. Watch for my posts on their sketch challenges every Wednesday. On to the soil-and-garden fun! Here’s what my tulip card looks like, now that it’s been two weeks. My kids are having SO MUCH FUN watching my seeds grow!!! Can’t wait to see those Shasta Daisies blooming! Don’t worry, I’ll post updates every so often. Here they are, some great gardening tips from Susan of Pefferlaw. 1. Help choose the area to plant the garden or place the pots- monitor to see how much sun / shade occurs during the day. Give ownership of the space and project to your child. 2. Select seeds that germinate quickly, that have their interest and match the sun conditions of the area. Good choices might be: Marigolds, Carrots, Beans, Lettuce, Sun flowers, Snap dragons. 3. Size of seed makes a difference, larger seeds can be easily pushed into the dirt to the right depth (as recommended on seed pack) and spacing is a little easier to determine. Smaller seed will need to be scattered and thinned out later. Bigger seeds can be pressed in and covered, smaller seeds should be scattered, rake lightly to cover the seeds, and water with a gentle water stream like a watering can or the mist selection of the hose so as not to wash away the seeds. 5. Planting Pots – I recommend pots for children because they represent a more confined area and are easier to focus on. Weeding will not be as difficult if at all needed. Use as many pots as selections of plant. Choose containers that have drainage and large enough for the plant to grow the season. I would suggest pots that are at least 10” deep for successful healthy root growth. 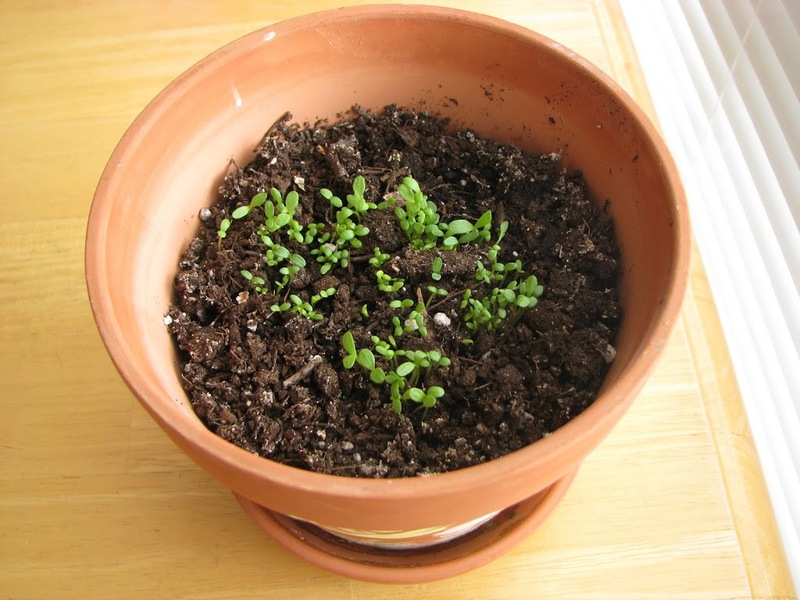 Choose a potting or container mix that has vermiculite or perlite and fertilizer included. I suggest Pefferlaw Brand Hanging Basket & Planters Mix. Press in larger seeds to the proper depth and cover with soil or scatter smaller seeds across the top of the soil. Sprinkle soil over top to cover the scattered seeds. Water carefully with a light mist or watering system so as not to wash away the seeds. Place in the sun, have your child water daily, preferably in the early morning or evening. 6. Thinning out – When the seeds first germinate, you will notice two Primary leaves. Do not attempt to thin out the plants until the first True leaves emerge. True leaves are the second set of leaves to appear and are completely different than the primary leaves. Once the true leaves are sprouted you can decide which plants stay and which go. Pick the hardiest plants within a grouping. Spacing will be determined by the type of plant and is generally listed on the back of the seed pack. Thinning can be done by picking (traditionally done) or cutting with scissors (using scissors does not disturb the roots of the plants that are staying). Continue to water plants weekly. A more generous watering can takes place once the plants are large enough to endure. Watering is generally best in the evening for sunny areas and in the morning for shady areas. For more ideas on Garden projects for the children – visit our website – garden tips. Thanks so much for all those great tips, Susan! I’m so looking forward doing some planting with my kids soon. Don’t forget to enter my giveaway. Just click here to go directly to the post.